*Originally created for & used by world class body builders for "Fast Rapid Weight Loss" now available for everyone who wants to lose unwanted fat fast! 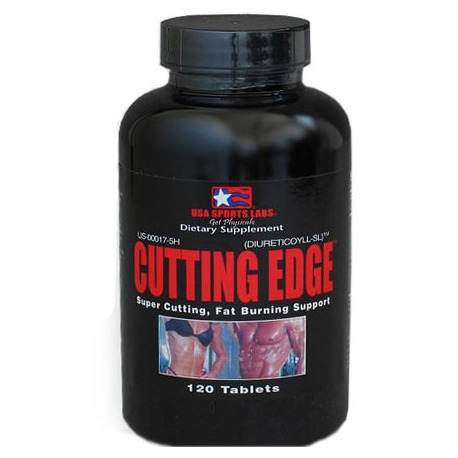 CUTTING EDGE® by USA SPORTS LABS® a number 1 selling fat burning, weight loss, get ripped now Pharmacist Formulated product! *Hydroxycut with some stimulants... maybe... is that it? Absolutely, no comparison. •Pharmacist designed to give that ripped, tight, cut look now with a more powerful natural Diuretic (DIURETICOYLL-SL™) available in an easy to swallow tablet. •Loaded Vitamin B6, Potassium, L-Carnitine, Lecithin, Choline, Inositol, L-Methionine, Uva Ursi, Bucha Leaves, Juniper Berries, Betaine HCL and Much more! CUTTING EDGE®(DIURETICOYLL-SL™) has a combination of amino acids, potent natural diuretics and high potency Lipo-synergistic ingredients L-Carnitine 1,2,3,4,5,6,7,8,9,10, Choline 1, Inositol, Lecithin 1, Linoleic Acid, L-Methionine 1,2,3,4,5,6,7,8,9,10,11 ,and more. 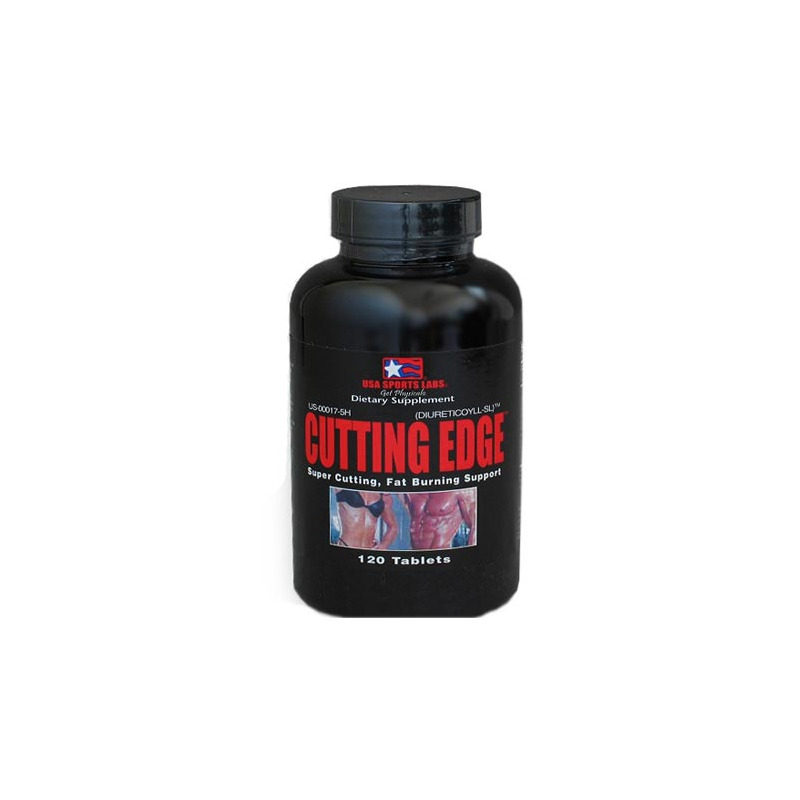 •Key ingredients in CUTTING EDGE® are Exclusive (DIURETICOYLL-SL™) & *L-Carnitine 1,2,3,4,5,6,7,8,9,10, an amino acid which has promoted the potential powerful property of converting stored body fat into usable energy, thus possibly reducing fat build-up around muscle tissue and beneath the skin. •Our exclusive Pharmacist Formula with natural (DIURETICOYLL-SL™) diuretic herbs and minerals in CUTTING EDGE© should help shed water and disperse waste without harmfully affecting your health and may give you that muscular or cut appearance you desire. •It's the perfect pre-contest product for males and females.